The increasingly confrontational relationship between China and the United States has become one of the most pressing issues of the current international order, something that has become increasingly apparent with the more confrontational approach of the Trump administration. This has been characterised by a rising China seeking to challenge American hegemony, which has been perceived as being in a state of decline. Such a notion invokes the logic of the Great Power rivalries of the twentieth century. The current status of the increased Sino-American competition has been dominated by the logic from three geopolitical experiences, which have been applied to chart the course of this rivalry with mixed results. Possibly the most influential lesson of the twentieth century is how rising powers will always seek to challenge the dominance of an established hegemon, a notion that has dominated the political and strategic culture of Western governments. This has most recently been invoked by Graham Allison’s Destined for War, which warns of the ‘Thucydides Trap’ of Great Power conflict, referencing the conflict between Athens and Sparta during the Peloponnesian War. The advent of the twentieth century was dominated by the Anglo-German rivalry in the years prior to the First World War, which was concluded by the end of the Second World War. This rivalry was partially a result of Britain’s failure to prevent a challenger emerging from Europe, a phrase that has been applied to the American reaction to China’s rise in an era of globalisation. Many have cast China as Wilhelmine Germany, the rising power of the time, while the US is often presented in the part of Britain in its attempts to preserve its hegemony. It is possible to see several similarities with this experience, although they are largely simplistic in nature. China’s recent naval build up to challenge the US, demonstrated in the South China Sea, appears to echo the expansion of the Kriegsmarine to challenge the dominance of the Royal Navy. This rivalry was also economic as well as military, which is replicated in the fears of a trade war between China and the US, made somewhat more fitting by the fact that both powers are major trading partners and rivals in the way that the British and German economies were interlinked. While the application of this experience is imperfect, it never the less illustrates the tensions between rival powers, which would continue to dominate the twentieth century. The competition between China and the US has often been phrased as a bipolar rivalry, which raises the spectre of the Cold War. This was one of the defining geopolitical experiences of living memory, which saw the rise of realpolitik. Such a perspective took a zero-sum approach to foreign affairs, a view that has often been applied to the gains in Chinese foreign policy, which is perceived as coming at the expense of the West. As with the case of Germany, there has been a tendency to depict China as another Soviet Union. This has come in the form of China’s military build-up which raises the spectre of the arms race between the US and the USSR. There have also been calls to contain China in language that invokes George Kennan’s strategies of the same name. In addition, the global Sino-American competition also appears to echo the globalised conflict between capitalism and communism. In addition, the casting of China as the Soviet Union has appeared in several theories predicting China’s collapse which suggest that it will suffer a fate similar to the USSR. It is the utilisation of the Cold War which suggests the limitations of these experiences. The invocation of this experience ignores the fundamental differences between China and the USSR, with the former being an economic rival while the latter was a largely ideological and military challenge. The China collapse hypothesis also ignores the structural differences between the two, with China’s economic clout growing while that of the USSR’s shrunk. In addition, this approach emphasises military power above all else, which ignores the other means by which China challenges the US, such as soft power and the Chinese model of development. The idea of economic rivalry also raises another would be challenger from the previous century. One of the forgotten chapters of the last century was the economic competition between the US and Japan. While an ally of the US and a bastion against Asian communism, Japan’s post-war economic boom coupled with the increasing deindustrialisation of the Western world led to fears of an unstoppable ‘Japan Inc.’ This reached its zenith in 1985 when Japan became the world’s second largest economy, a position now occupied by China. It is this period that raises several compelling parallels between the challenges of China and Japan. One such parallel can be seen in the accusations levelled at the two countries, most notably the claim that both follow ‘unfair’ practices. These accusations played a notable role in Trump’s campaign in the ‘Rust Belt’ states, which echoes similar promises made by the then Democrat candidate, Walter Mondale, thirty years prior to ‘get tough with Japan’. The literature from this era also highlights a degree of continuity in the form of George Friedman’s 1991 bestseller, The Coming War with Japan, which appears to be continued in the form of Peter Navarro’s The Coming China Wars, both of which warn of an approaching conflict alongside criticisms of Japanese and later Chinese practices. While these similarities are apt, there have been some differences. Friedman’s book claimed that the end of the Cold War removed the necessity for Japan’s alliance with the US. Instead, these ties have persisted even after the collapse of the USSR. Such a connection is lacking in the relations between China and the US, which renders a possible conflict of greater likelihood than with Japan. The threat of Japan was also something of a mirage due to the 1990 economic crisis, which led to the ‘Lost Decade’ in Japan. 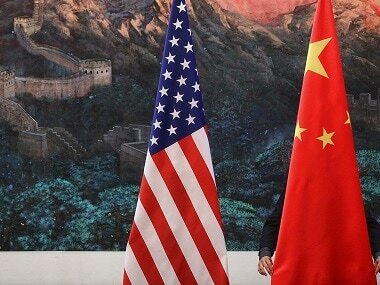 Therefore, China has the potential to become the challenger to American dominance that Japan was expected to be. The experiences of Great Power rivalry offer several pertinent questions over the possibility of a Sino-American competition. These are limited by the fact that China, in the words of Aaron Friedburg, is unlike any of the previous challengers to American dominance. Therefore, while the legacy of the twentieth century is a useful yardstick, it is limited by the nature of the challenge that China poses.